We stopped in White Sulphur Springs a couple of days ago on our way between Glacier and Yellowstone National Parks. Barbara noticed a store with the intriguing name of Red Ants Pants. There was a sign on the door that said, “Be right back” so we decided to have lunch while waiting. We had an excellent lunch at the Corner Stone Café, a deli serving sandwiches, soups and broasted chicken. Barbara had a piece of chieken and eat it down to the bone proclaiming it the best ever. I had a great hot sandwich made to my specifications and accompanied by home-made chips. 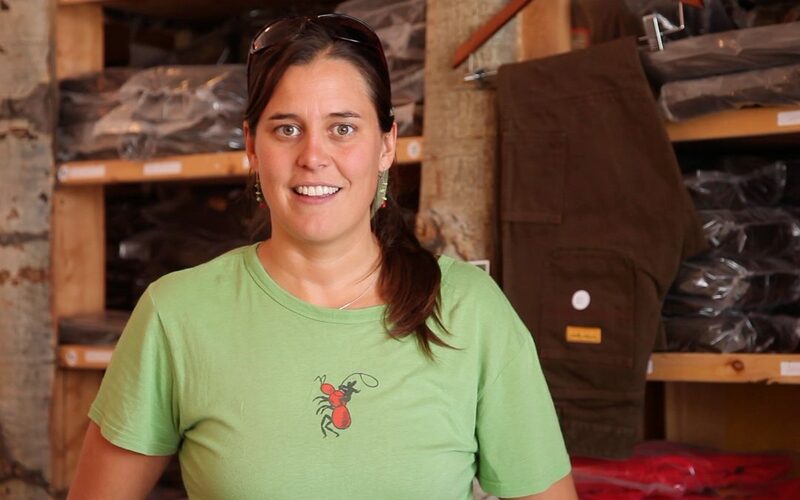 On returning to Red Ants Pants, we found Sarah Calhoun, who told us about her business of producing heavy duty workwear for woman. Barbara is now the pround owner of a pair and is looking forward to a life time of use. In this video, Sarah explains her decision to locate in this rural Montana community.